Students will be able to check results today. LESS than half of Queensland's school leavers will receive an OP today, as students continue to sidestep the state's tertiary ranking system and opt for alternatives. About 25,000 students will be able to view their OP result online - a drop on last year's numbers and a continuation of a downward trend. Next year's cohort will be the last to be eligible to receive an OP, as Queensland moves to adopt the Australian Tertiary Admission Rank (ATAR) system. This year's group of Year 12 students was slightly smaller than in 2017, with 51,872 students entering their final year of schooling. Of those 94 per cent achieved their Queensland Certificate of Education, a slight increase on last year, while more than 21,000 students will receive an OP (Overall Position ranking) between 1 and 15. Among those will be 733 of the state's best and brightest students who will receive an OP1, meaning they were among the top 2 per cent of academic performers in the state. 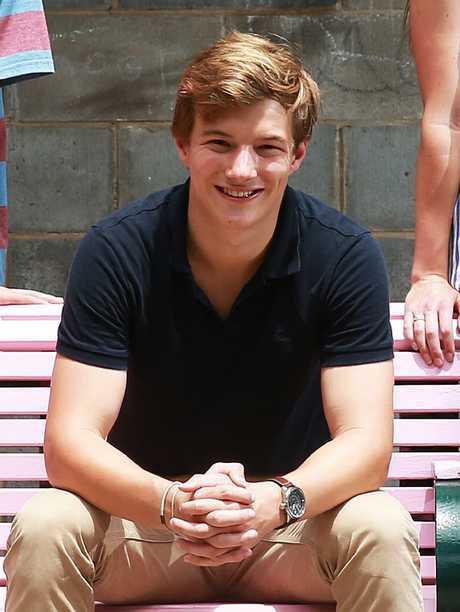 Brisbane State High School captain Luke Waldie, 17, has his fingers crossed to be one of them as he hopes to study medicine or a health-related course at university next year. "I think I'm more excited than anything about finding out, I know I did the best I could," he said. "I just wish it came out earlier." Queensland Education Minister Grace Grace said more than 94 per cent of graduates achieving a QCE was a "fantastic result" and added students who were disappointed with their OP result should not be disheartened. "Students can upgrade their results or explore other ways to gain entry to university and training courses," she said. TAFE courses are also available, with 160 qualifications on offer for free to year 12 graduates. Independent Schools Queensland executive director David Robertson said students would likely have mixed feelings as their school days come to a close, but said they should feel confident about their future. "With students today expected to experience 17 jobs over five careers, tomorrow represents just the start of an exciting and diverse career path," he said.